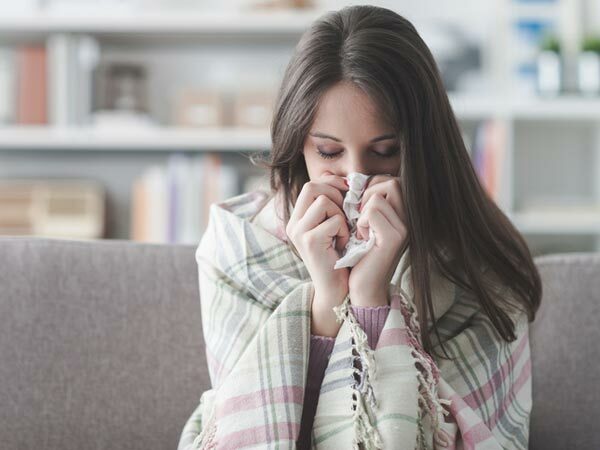 Although you may not be able to fully prevent a cold or flu this season, a healthy immune system is one way to give your body extra protection. Focusing on nutrient-rich foods and healthy lifestyle behaviors can help you and your family stay a step ahead of germs this season. Beta Carotene is found in plant foods, such as sweet potatoes, spinach, carrots, mango, broccoli and tomatoes. Vitamin C-rich foods include citrus fruits, berries, melons, tomatoes, bell peppers and broccoli. Vitamin D is found in fatty fish and eggs. Milk and 100% juices that are fortified with vitamin D also are sources of this important nutrient. Zinc tends to be better absorbed from animal sources such as beef and seafood, but also is in vegetarian sources such as wheat germ, beans, nuts and tofu. Probiotics are “good” bacteria that promote health. They can be found in cultured dairy products such as yogurt and in fermented foods such as kimchi. Protein comes from both animal and plant-based sources, such as milk, yogurt, eggs, beef, chicken, seafood, nuts, seeds, beans and lentils. To help keep your immune system healthy all year long, focus on a balanced eating plan, adequate sleep and stress management. Aim for five to seven servings of vegetables and fruits daily to get immune-boosting vitamins, minerals and antioxidants. Good hygiene and hand-washing help prevent the spread of germs. Remember to wash produce before eating or using in recipes. Clean glasses, forks, spoons and other utensils to reduce the spread and growth of bacteria. Find healthy and appropriate ways to cope with stress, such as meditation, listening to music or writing. Physical activity also is a great way to help manage stress and may help reduce the risk of some chronic diseases that could weaken your immune system further. Lack of sleep contributes to a variety of health concerns, such as a weakened immune system. Seven to nine hours is recommended each day for adults, and children need eight to 14 hours, depending on their age. Many herbal remedies are marketed to help fight colds or shorten their duration but check with your health care provider before taking any supplements or medications.